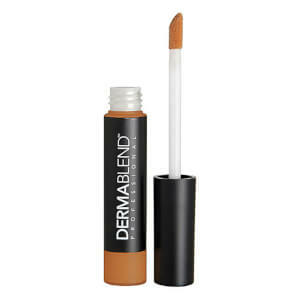 Reveal a flawless complexion with the Dermablend Quick Fix Concealer Stick with SPF 30; a full coverage formula that is suitable for even the most sensitive of skin types. Arriving in a precise stick form, the concealer allows for fast, easy and targeted application, and is ideal for touch-ups whilst on-the-go. Packed with high-performance pigments, the creamy concealer effortlessly glides onto skin and delivers full coverage without leaving a cakey finish. 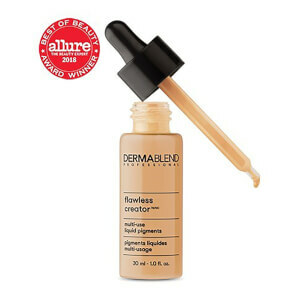 The #1 clinical concealer stick* is able to effectively cover blemishes, dark spots, acne scars and discoloration. Protecting skin with long-lasting, all-day hydration, the full coverage concealer is both smudge and transfer-resistant, leaving the visage naturally flawless and ultra-comfortable. Complete with SPF 30. Free from parabens, phthalates, triclosan and sodium lauryl sulphate. *Source: The NPD Group, Inc./ U.S. Prestige Beauty Total Measured Market, Makeup Sales, January-September 2018. Apply quick-fix directly to face.